Are you on the hunt for that perfect pair of tall teen girls jeans? Maybe you've had a hard time finding jeans long enough at the mall, but if you go online, you'll find plenty to choose from. Some of the stores in my tall teens denim directory sell inexpensive and cheap junior clothing, while others are a bit more pricey. But, in either case, girls jeans come in a variety of long inseams that will fit your legs just right. Tall teen girls long length jeans come in an array of cute styles, trendy fits, and hip fashions, just like those you see on your favorite celebrities. Girls skinny jeans and jeggings are popular styles in juniors sizes. The tighter fit will make your legs really look glam. Boot-cut and flared designs look spectacular on a taller body because although they are thin and shaped around the thighs, the wide cut at the bottom will help even out your frame. Other options you'll come across are light and dark washes, low and high rises, and destroyed looks. With all these varieties, the hardest part now is choosing your favorite! TALL TIP: You get Free Shipping on orders over $85 at Alloy Apparel. There, you'll find inexpensive tall teen girls jeans and pants in up to 39" inseams! Alloy Apparel ($) Inexpensive junior clothing online store selling denim and pants in 35", 37", and 39" inseams, including boot-cut, flare, and girls skinny jeans styles. Also find tops, dresses, and skirts in their Tall Shop. Almost all items are less than $50. Plus sizes are available. EXPRESS ($$) Long jeans and pants with inseams of 35". In the Jeans and Pants categories, select your size from the drop-down menu. Shop online or at their retail locations. Old Navy ($) Affordable junior clothing with tall teen girls jeans and pants under $50. Bottoms come in long (34" inseam) and tall (36" inseam) sizes. Also has inexpensive fashion tops, dresses, skirts, jackets, and activewear in up to size 20. Shop online for the entire tall collection or at their retail locations for a smaller selection. Aeropostale ($) Tall teen girls jeans and pants in 34" inseams, with most of them under $50. Some of the long length styles can be found at their mall locations, but shop online for more variety. American Eagle ($) Tall girls jeans and pants in long (34" inseam) and extra-long (36" inseam) lengths for most designs. Choose your length in the Sizes drop-down menu. Their stores carry some long sizes, but check on their website for the a bigger selection. Buckle ($$) Offers a collection of mid-priced ($50-$100) and designer denim and pants in up to 37" inseams. They do have retail locations, but shopping online gives you more options. 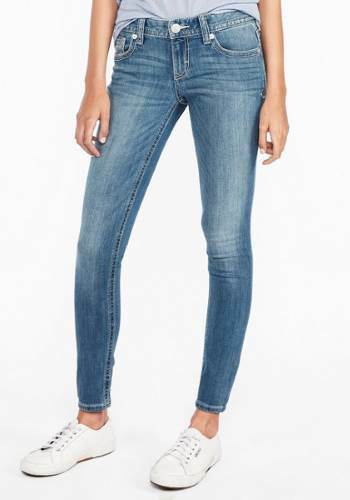 Gap ($$) Carries a wide variety of long size jeans and pants in up to 37" inseams as well as tops, dresses, skirts, and jackets in tall sizes. Select the Women's Tall option to view all clothing. Retail stores have some tall sizes. Shop their site for a lot more choices. 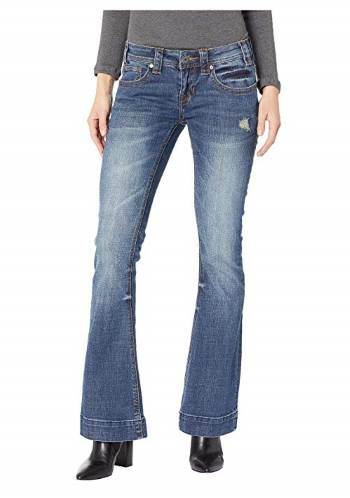 Lucky Brand ($$) Offers a popular collection of premium juniors long and extra-long denim in 34" and 36" inseams. Choose your inseam in the drop-down menu in the Women's Jeans section. 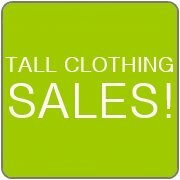 Long Tall Sally ($$) Clothing store specializing in tall women sizes. Jeans and pants come in 34" to 38" inseams. They also offer tall clothing such as tops, sweaters, dresses, suits, coats, activewear, sleepwear, and swimwear. Extended sizes are available for many items. Shop online or at their U.S., U.K., and Canada locations. Next ($) Long jeans, pants, and trousers in 35" inseams. Also carries other items in their tall section. They are based in the U.K., but be sure to choose your country on their site to get the most accurate pricing and info. 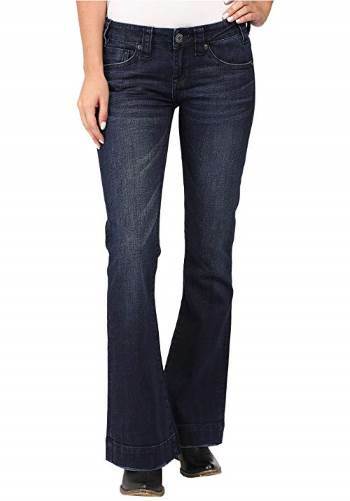 Levi's ($) Offers a trendy style of tall teen girls jeans in long sizes with 34" inseams. Choose your size in the Filter By Size drop-down menu. Extended waist sizes available. J.Crew ($$) Offers a smaller selection of tall jeans and pants, most of them in a skinny (also called toothpick) style. Top Shop ($$) Trendy clothing including long length jeans (mostly skinny style) in 36" inseams and trousers and leggings in 35" inseams. Also carries other girls tall clothing such as tops, dresses, skirts, and jackets in their Tall section. Shop online or at retail locations. Based in the U.K., so choose your country at the top of their site if needed. Have you ever dreamed of designing your very own special pair of juniors jeans? Tall girl jeans with a look and fit just the way you want them? You can do exactly that by creating a custom pair of jeans through one of the custom clothing shops below. How does it work? Choose your favorite wash, color, fabric, and style, add in your measurements, and there you have it...a unique pair of cute jeans that's all your own. Perfect! eShakti.com ($$) Give them your own measurements, decide on some different design options, and you'll get a perfectly customized pair of jeans that is just the length and fit you want. Make Your Own Jeans ($$) Create your whole wardrobe here. Choose from a wide variety of styles for jeans, pants, shorts, shirts, jackets, and suits.